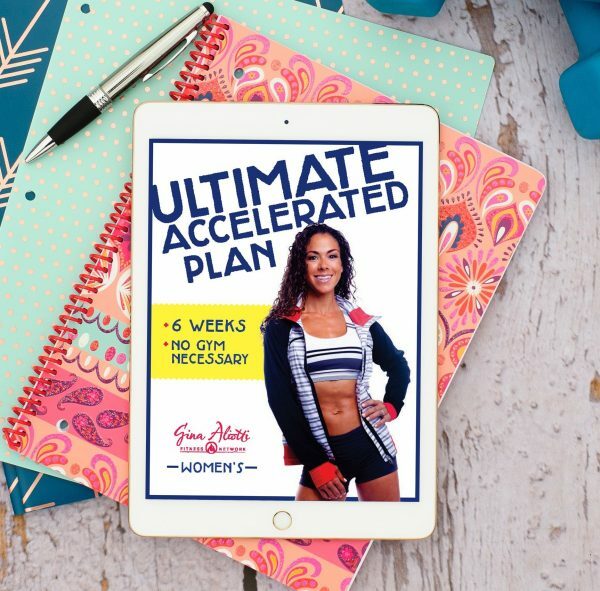 Get your copy of my FREE Ultimate Weight Loss Plan e-book. Join my Tribe! 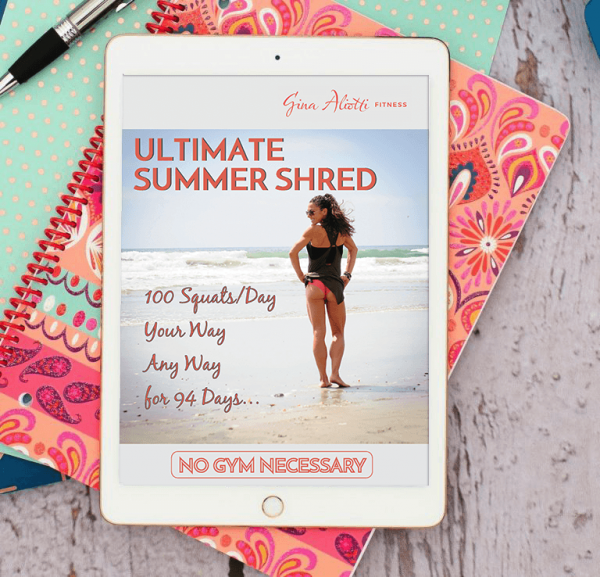 No Gym Workouts – Get a Week FREE! Not a member yet? Become a VIP Member today! 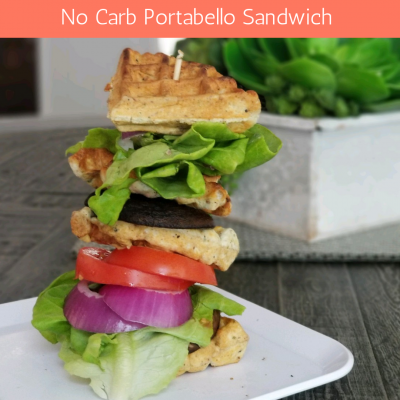 Cravings crushed with this fantastic NO CARB Sandwich. Give this a try and let me know what you think! Place portobello mushrooms over stove top sprayed with non-stick spray. Add garlic over top, if desired. Cook on low until tender, flipping half way through cooking. Once cooked, remove from heat and set aside. Mix all ingredients in a bowl until well combined. Heat waffle iron on medium heat. Add batter to waffle iron and cook. Remove from heat then toast if desired for added crunch. 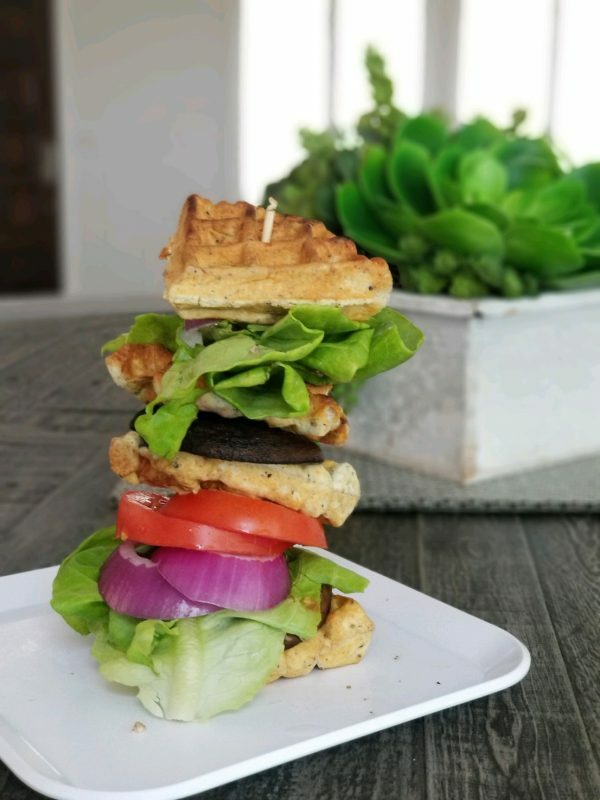 Layer waffle with, mustard (if using), portobello mushroom, and sandwich toppings. and enjoy! 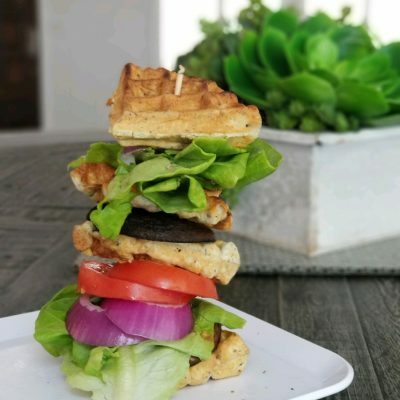 The Breakthrough Plan, 1 serving = 9 grams you can follow recipe and remove a serving of fat else where on the daily menu OR reduce almond meal from 1/4 cup to 2 tbsp. For more recipes compatible with my meal plans, daily workouts, accountability, weekly LIVE’s, support and SO much more, become a VIP today. Join HERE. Do you feel alone in your journey without the support to keep you on track? Do you feel deprived on your “diet” and frustrated that you aren’t seeing results? Let me help you! Become a VIP Today, JOIN HERE. I read this article and found it very interesting, thought it might be something for you. 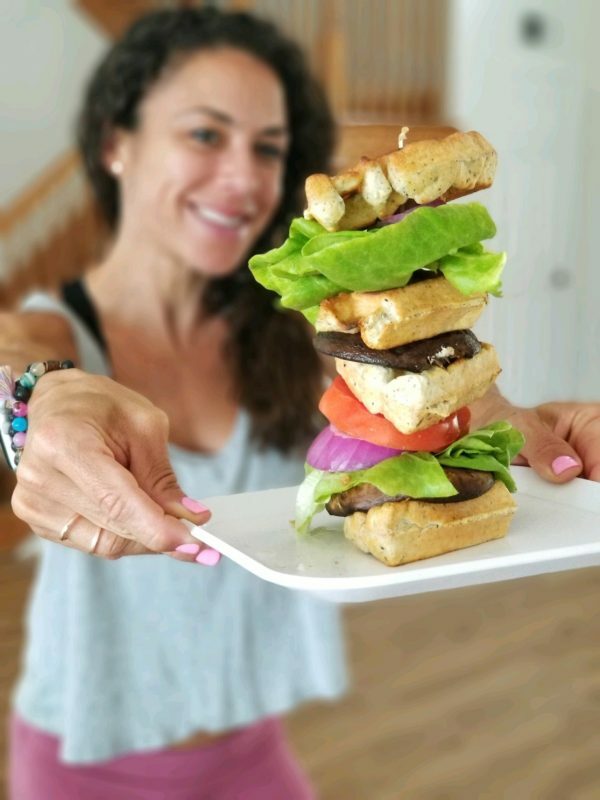 The article is called Guilt Free Low Carb Sandwich and is located at https://ginaaliotti.com/guilt-free-sandwich/. 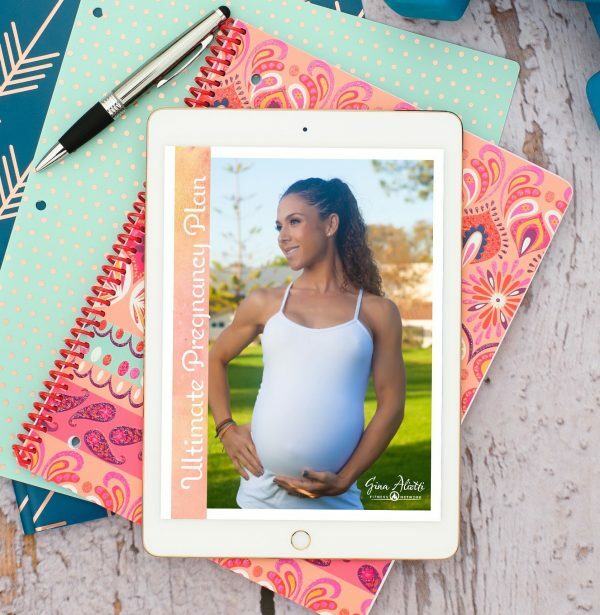 Plans that work, support to keep you motivated and results that last. Gina Aliotti was born and raised in Monterey, Ca, now living in Carlsbad, Ca. She is a mother of 2 beautiful children, David (6) and Nicolette (4). 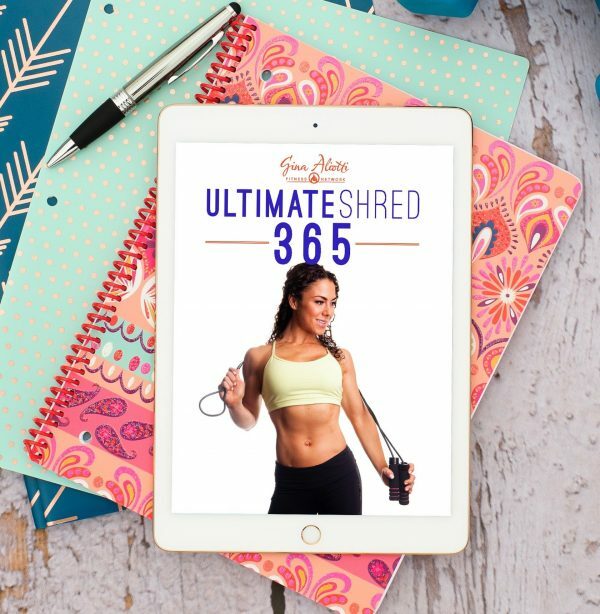 She is a renowned fitness professional and master trainer whose life mission is to inspire and teach others how to get in shape with NO gym necessary. 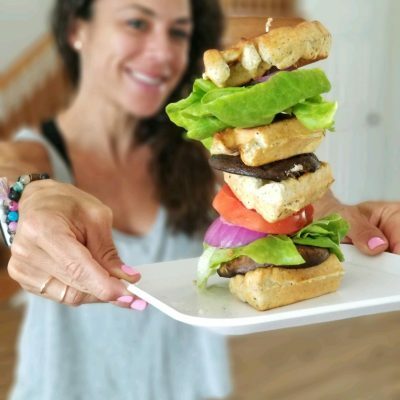 She focuses on a less is more approach to fitness, helping people see how realistic living a fit and active lifestyle can be. Her life mission is to proving that it doesn’t take a gym or a ton of time to reach and maintain your goals. Ginaaliotti 2019. All Rights Reserved.